Managing behaviours in any child can be difficult, managing behaviours with children with Autism may sometimes seem impossible. I recently attended a course by Professor Tony Attwood and Dr Michelle Garnett from Minds and Hearts on “Challenging Behaviour in Classic Autism”. This one day course covered a range of areas that children have difficulties with, including communication, sensory processing and emotional regulation. They provided a “tool box” to help manage and reduce behaviours resulting from difficulties in these areas. Every person has triggers that can frustrate, upset or anger the individual. We all reach a point or have a threshold where we can no longer cope. Children with Autism can often have “explosions”, where rather then letting things accumulate; they can “erupt” following exposure to a trigger and often have difficulties regulating themselves back to a settled state. Triggers can be a range of things, including sensory stimulus (noise, smell, touch, sight), being told no, losing or being wrong, social situations, transitions, lack of routine and unexpected environment changes. It is important to recognise your child’s triggers. Keep a diary/monitor when behaviours occur and identify what were the events prior to/what was the environment like. We can then avoid these triggers or aim to prepare the child and minimise the outcomes. Professor T. Attwood and Dr M. Garnett identify “tool boxes” to help avoid, minimise and regulate challenging behaviours. Please feel free to contact us at the clinic to discuss how to manage complex behaviours for children with Autism. This semester Synchrony OT has been lucky enough to be involved with the final year OT student projects through the University of Queensland. Our students were able to put together some great activity ideas that you can use at home to develop your child’s scissor skills. For early year’s students, cutting with scissors can make up a big part of the day. Many classroom activities involve a cutting and pasting component. The following activities can assist your child to develop their scissor skills to ensure that they do not fall behind during the school day. Teach your child which one is their ‘Doing Hand’ and ‘Helper Hand’. ‘Doing Hand’ holds the scissors: Thumb on top in the smaller hole, fingers on the bottom and scissors pointing forward. ‘Helper Hand’ holds the paper: Thumb on top and turns the paper. Use a scissor rhyme: “Fingers on the bottom, Thumb on top, Open up your hand, and Chop-chop-chop! Using both hands, roll playdough into a long snake. Get your child to make lots of snips down the length of the snake. Make single snips around the edge of a paper plate to make a lion mane. Then assist your child to draw on a face and colour the mane. Draw some lollipops or flowers into the middle of a page. Draw a long stem on each of the lollipops or flowers. Get your child to cut along each stem. Get your child to draw a face on the toilet roll. Get your child to cut down into the length of the toilet paper roll, so as to create strands of hair. Finally they can give their character a hair cut. Print out a template or draw some shapes on a page to make up a robot using rectangles, squares and triangles. Get your child to cut out the shapes and put together the robot. Find an old pile of unwanted magazines or newspapers. Choose a theme (e.g. red, sports, things that fly). Get your child to cut out things they find relating to that theme. Draw some balloons into the middle of a page. Draw a long curved string to each of the balloons. Get your child to cut along each string to the balloon. Find a cut-out template of a curled up snake or snail shell. Get your child to cut around snake in a spiral towards the middle. “She doesn’t notice when others are talking to her”, “He tends to be bossy and gets upset if things don’t go his way”, “She can play well one on one but struggles in a large group”, “He always calls out in class”. Many of the children that we see here at the clinic find social situations challenging. I recently attended a two-day course on Social Thinking which provided a great insight in to the complexity of social challenges. The course highlighted that a child’s social capabilities are integral to their success in life; socially, academically, and professionally. Socially attending to the information that we are receiving. This is the ability to read facial expressions, body language, gestures and what is happening in the situation. Interpreting what others might be thinking or how they might be feeling based on the information we have gathered. This can also include self-awareness of predicting how our own behaviours might be interpreted by others. We have to understand that others have thoughts about us, even if they don’t say these things out loud. Problem solving so we can make decisions about how we should respond. This could be deciding what words to say, what tone of voice to use and how to behave. Creating an appropriate social response. Ideally we want to choose a response that considers the thoughts and feelings of those around us. If we use the iceberg analogy, we can only see the tip of the iceberg when it comes to social skills. In order to interact appropriately, we first have to consider what situation and context we are in (social input) and then adapt our skills and responses (words, gestures and facial expressions) based on our understanding of the situation (social output). Some children are able to tell you everything that they should do in a social situation, but due to a breakdown in social competencies, they find it difficult to implement them in a real situation. Challenges with social competencies can lead to difficulties with a child’s ability to interact with their peers and participate appropriately in class. Model your own thought processes out loud. For example, if you are at the shops you could say “I can see that there is a line. We can line up at the back of the cue and wait our turn. This will make the other people happy that we didn’t push in”. Discuss what characters might be thinking and feeling when you are reading stories or watching cartoons. Ask your child how the characters thoughts and feeling might change if the scenario was different. See if they can predict what might happen next. Please feel free to contact the clinic and chat to us about how we can assist your child in developing their social thinking skills. This semester Synchrony OT has been lucky enough to be involved with the final year OT student projects through the University of Queensland. Our students were able to put together some great exercises that you can use at home to develop your child’s hand strength. Why is hand strength important? It is important for your child to strengthen their hand and finger muscles so that they can complete these tasks effectively. Just like exercises and fitness, hand strength takes time and practice to develop. It is recommended that the following exercises are incorporated into your child’s daily routine to assist in developing their hand strength. Theraputty Exercises: Click on the links to see corresponding videos of how to complete each activity. Hide small items/marbles/coins inside the theraputty. Challenge your child to find them as fast as they can using both hands. Have your child begin by putting all 5 fingers together. Place the theraputty on the tip of the fingers. Have your child spread their fingers out, like making a ‘spider web’. Bring fingers close together and repeat. Being with the theraputty in a long flat piece. Using their thumb and index finger, ask them to pinch the ‘snake’ as they work their way upwards. Make sure finger dents are visible on the theraputty. Have them place the theraputty in their palm of their hand. Direct them to squeeze it as hard as they can, with all 5 fingers at once, to leave ‘fingerprints’ in the theraputty. By using all 5 fingers, have you child pinch and pull apart the theraputty. Have your child grab each end of the theraputty using all 5 fingers. While pulling the theraputty, have your child twist each end of the theraputty in opposite directions, resembling liquorice. Have your child roll the theraputty into a snake. Have your child place their fingers on the theraputty and walk along the putty (using 2-3 fingers) digging the fingers deep into the putty. Have your child roll the theraputty into an egg. Have them place the egg between the fingers and ask them to squeeze the egg using only those two fingers as hard as they can to ‘crack the egg’. Repeat the activity for the other fingers. Have your child pinch and pull a marble sized piece of theraputty using their thumb, index and middle finger. Using only those 3 fingers, have your child roll the theraputty into a small ball using a rotation movement of the fingers until the theraputty resembles a marble. Continue steps 1 and 2 until all of the theraputty marbles have been completed. Have your child being by rolling the theraputty into a snake and flattening it with either their palm/fingers. Have your child pick up the sticks/popsicle sticks/pipe cleaners using 2-3 fingers and push in into the top of the theraputty. As a paediatric OT, I regularly receive referrals to assist children to develop neat writing. One of the biggest factors for neat writing is consistent sizing and ability to position the letters accurately in the lines. Wombat Letters: (a c e i m n o r s u v w x z) These letters stay inside the blue lines. Possum Letters: (g j p q y) These letters have bodies that stay in the blue lines and long tails down to the bottom red line. Emu Letters: (b d f h k l t) These letters have bodies that stay in the blue lines and tall necks that go up to the top red line. Practice copying into the lines- imagine the lines are like electric fences and give your child points if they stay inside- make it a challenge and see if they can earn points towards a prize. My child is unhappy at school. Should we change schools or will it make things worse? When my son was 8, my family moved interstate for work from Queensland. We left behind a school that he loved, friends he had known since he was a baby, and a community that was inclusive, friendly and laid-back. Nevertheless, we had high hopes for his new school, which was surrounded by parklands and was situated in a beautiful Melbourne suburb. As luck would have it, our new house was right next door to the school! In hindsight, I did have some reservations when I first visited the school, and I should have listened to my instincts. Parents chose to stick with their cliques and did not share a smile. I overheard a lady in the uniform queue returning her 8-year-old daughter’s skirt because it made her “bum look big”. The vibe was icy-cold. Over the space of 5 months, my normally positive and exuberant son became progressively withdrawn and sullen. He seemed to “try on” different personalities in an effort to fit in with peers who he described as richer, meaner and older. He simultaneously lost his interest in learning. My attempts to resolve difficulties by engaging with the teacher, principal and vice-principal were dismissed, stalled, or more-often ignored. One evening he was having a bath and I noticed a huge bruise on his thigh, which he explained had been inflicted by kids during recess. They had also thrown his shoes into the girl’s toilets. He confided that the bullying had been going on for some time and that he no longer felt safe at school. My son’s basic needs for safety and security were not being met and I felt utterly powerless to change the situation. We both knew we couldn’t wait. “To leave this school and never come back”, he replied. The next day when I picked him up from school, I told him that his wish had come true and that tomorrow would be his last day. He looked at me as though I had given him a brand-new toy. We had found another Melbourne school for him, which was inclusive, friendly and down-to-earth. Suffice to say, his lovely true personality remerged. He made some great friends, and his learning accelerated at lightning speed. Seriously! As a happy kid, he read 50 books the following year, and his writing improved significantly. It was a good lesson for me that if you look after a kid’s mental health, then learning looks after itself. As a child psychologist, parents often ask me the question: Should we change schools? My experience of moving my child’s school was extremely positive and I am hugely relieved that we made that decision. Nevertheless, the process of deciding what will be best for your child is complex. Do you feel that the school environment or culture is negatively affecting your child emotionally or behaviourally? How long has it been going on? Have you tried to talk to the teacher, vice principal and principal (in that order)? Are there some things that you could do to improve the school experience for your child? Could this be an opportunity for your child to develop resilience and positive coping skills? Do you feel as though you have tried to effect positive change but that the environment is still unhealthy for your child? How does your child feel about the idea of moving schools? Are there other schools available that suit your family’s needs? Can you get insider information about the new school from kids, parents, teachers and the leadership team/ go on a tour/ attend the school fair? If your child does move to a new school, how will the new school help him/ her with the transition (making new kids, feeling included)? 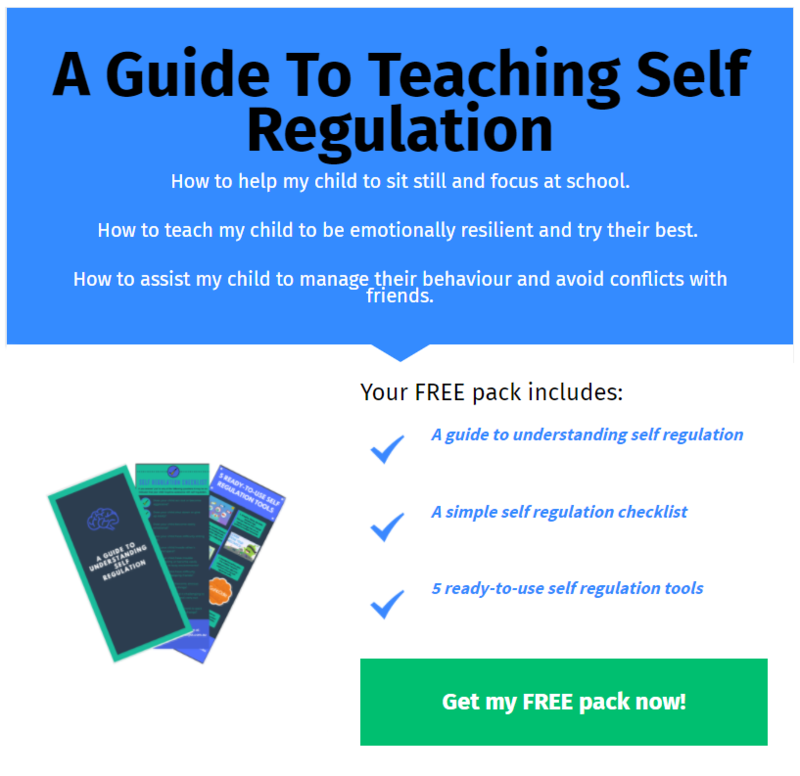 Is there extra support (outside of school) that may help your child to feel more secure at school (e.g. social skills training, support with self-esteem, counselling)? What will be the losses and the gains (for your child and your family)? If you do decide to move schools, can you time it so that your child has the best chance of successfully fitting in (e.g. at the start of the school year, or before camp). The decision to move schools is an emotional one. Just like workplaces, each school has its unique culture, which may suit some kids, and not others. Ideally, as parents we make the right decision about the right school for our kids first time around. However, it is often not until our child is attending a school that we can fully gauge the culture. The right school environment/ fit has immeasurable psychological and academic effects on our children. For my family, I look back on the decision we made with great relief. Whilst often thought to be a “last resort”, and unlikely to solve all your problems straight away, moving schools is sometimes the best option available. -Dr Amy Kelly, Child Psychologist, Whole Heart Psychology. Fine motor skills are an essential foundation skill necessary for keeping up in class. On any typical school day kids are constantly using their fine motor skills. They have to do up their buttons and laces, use cutlery to eat breakfast, clean their teeth, open and close their school bag, complete drawing and handwriting, cut and paste worksheets, open and close lunch boxes and food packaging… the list could go on and on. I often complete School and Kindy visits to observe how kids are coping in class. Often times I see students with poorly developed fine motor skills getting left behind. I’ll give you an example: I watched a prep-aged student completing a task where he had to cut out pictures and sort these into categories for a science lesson. Because it took so long for him to cut out the pictures, he hadn’t even gotten up to the sorting and learning part of the lesson before he was asked to pack away and move onto the next activity. Another student was asked to glue in his work sheet and move onto the next task. Because it took so long for him to glue in his worksheet and put his book away in his tidy tray, he had missed the instruction that the teacher had given for the next activity and was then having to play catch up. Just like exercise and fitness, fine motor skills take time and practice to develop. We regularly use paper crafts as an engaging way to encourage kids to practice and develop their fine motor skills. Hand dominance: Is my child ambidextrous? As a Paediatric Occupational Therapist, I frequently get asked “Is my child ambidextrous?”. Before we answer this question, first we have to understand a little more about development. In the first 2 years of life babies learn lots of information about how the muscles in their bodies and hands work. First, they learn how to bring both their hands together (e.g. clapping). Then they move onto reciprocal movements where both sides of the body complete alternating actions (e.g. crawling or climbing). Finally, they develop the ability to use both hands simultaneously, one hand stabilising whilst the other hand works (e.g. holding the paper whilst drawing or holding a bowl still whilst eating with a spoon). When does hand dominance develop? As the brain develops, one particular side emerges as being more specialised (the right side of the brain controls the left side of the body and vice versa). Hand dominance usually emerges around 2 years of age and it is clearly established in most children by 5 years of age. Why is hand dominance important? The more a child uses one particular hand, the more efficient and automatic the movements become which then frees up cognitive energy to focus on more complex movements or higher-level thoughts (e.g. being able to think about ideas, sentence structure and spelling rather than having to focus on pencil grasp and pencil control). Children who switch between using their left and right hand can be described as displaying mixed hand dominance. Children with mixed dominance may find it challenging to carry out precise fine motor skills such as cutting with scissors or handwriting. Weak hand strength: Some children will start an activity with their preferred hand and then swap when their hand becomes tired. This isn’t a difficulty with hand dominance necessarily, they may just need to work on strengthening their hands so that they can improve their endurance for fine motor tasks. Difficulty crossing the midline: We all have an invisible line down the centre of our body that is referred to as the midline of the body. Midline crossing is the ability to use one hand to work on the opposite side of the body. Some children will pick up objects with the hand that is closest or may start an activity with one hand and switch hands if they need to work on the other side of their body. Encourage your child to complete the activity with the hand they started (no swapping during the task) in order to encourage them to develop strength and endurance. Closely watch your child and note down how often they are using each hand throughout the day. If their does appear to be a more preferred hand you can assist them by using ‘Helper Hand’ and ‘Doing Hand’ terminology. For example “It is your Doing Hand’s job to hold the pencil and your Helper Hand’s job to hold the paper still”. Work on hand strengthening tasks to ensure they are not switching hands due to fatigue. Use chalk to make a large track on a concrete path. Challenge your child to drive a car along the track, only using one hand to get from one side of the track to the other. Assist your child to trace over a large infinity symbol (sideways figure of 8). You could do this on a large piece of butcher’s paper on the wall or complete this activity with a stick in the sandpit. Make sure they use one hand to trace the entire way around. If your you child has established a Doing Hand and Helper Hand. Set up puzzles to encourage reaching across the midline. e.g. Assist your child into a side sitting position, leaning on their Helper Hand, position the puzzle pieces on the opposite side of their body so that they have to reach across with their Doing Hand to collect the pieces. W-sitting…what is all the fuss about? So w-sitting… what is all the fuss about? A quick google search of the term reveals a myriad of articles written by physiotherapists, occupational therapists, teachers and parents. Many of these popular articles say that w-sitting should be avoided at all costs! But do we need to demonise w-sitting? The w-sitting posture is sitting on the floor with both thighs rotated inwards and the feet outwards on both sides of the body (the legs make a W shape, hence the name). This posture is usually difficult for adults to achieve, because as we grow, we gradually lose mobility in our hips (partly due to the way our muscles and bones grow and partly because in Western cultures we don’t spend a lot of time in postures of extreme hip flexion). Children, on the other hand, can achieve the w-sitting posture more easily. Their hip joints have more mobility and they often spend a lot of time with flexed hips. Many, but not all typically developing children will move through this posture occasionally in their play. Children with low resting muscle tone (“floppy” muscles) and/or joint hypermobility usually find w-sitting very easy to achieve, even to the point of comfort. For children with tight leg muscles, such as those with cerebral palsy, the w-sitting posture may be the only one they are able to sustain. Given that w-sitting can be part of the normal repertoire of movement during childhood, why do so many recommend it be reduced, if not eliminated? The reason is that children with low resting muscle tone and/or hypermobility tend to choose w-sitting ALL or MOST of the time, when it should only be ONE of a number of different sitting postures used during play. W-sitting has a wide “base of support” making it a very stable shape (imagine how difficult it is to topple a pyramid versus a cylinder). It also requires less trunk muscle control to maintain, meaning that the child is free to play and enjoy what they are doing or watching for a long time, without as much fatigue. This is a great problem solving strategy – children are natural problem solvers! What are the consequences of this prolonged and repeated w-sitting? Surprisingly, scientific research is lacking in this area. Anecdotally, children who predominantly w-sit may have less opportunities to develop more advanced postural control strategies, have delayed motor milestones, walk with more internal rotation (legs turned in), and could complain of hip problems later in life. It is unlikely that w-sitting is the main culprit, but part of the story. W-sitting might impact a child’s ability to participate in more advanced types of play (collaborative and imaginative play). Imagine a collaborative building project – children need to get up and down, shift their weight, and reach in all directions. All of these things are more difficult when w-sitting. If you notice your child is w-sitting a lot of the time, it’s not necessary to constantly bug them about it. You could try moving their toys/tablet to a table so they have to kneel or sit on a chair to play. Tummy time is not just for babies – older kids can also benefit from short periods of play whilst on their tummies, supported by their arms and shoulders. Playing some active games involving balancing on one leg, running, kneeling or jumping is also a fun and useful way to break up long periods of sitting still! In conclusion… W-sitting is not all bad news, but when it is the only posture favoured by your child it could be an indicator of other problems. If your child’s w-sitting is worrying you, or you have concerns about your child’s movement, posture, or development, do seek help from a health professional such as a physiotherapist with experience in paediatric and developmental practice. With the roll out of the NDIS reaching Brisbane in July this year we thought we would re-run our post about how you can start to prepare for the NDIS. The National Disability Insurance Scheme (NDIS) is a new way of providing disability support. It provides people with a permanent and significant disability, access to support to help them take part in everyday activities and to achieve their individual goals and aspirations. What type of support can my child receive under the NDIS? Supports can assist your child with areas such as learning, daily living, accommodation, equipment/assistive technology, health, transport and hobbies. The National Disability Insurance Agency (NDIA) is an independent statutory agency whose role it is to implement the NDIS. The NDIS is being progressively rolled out across Queensland. On the 1st July 2017 the NDIS became available in Ipswich and the roll out will reach Brisbane in July 2018.
your child is aged 6 and under and has a developmental delay which results in difficulties in one or more of the areas of self-care, receptive and expressive language, cognitive development or motor development. your child has a disability that is likely to be permanent or early supports would reduce how much help your child needs to do things in the future. your child has a permanent or significant disability that requires help from others to do things or requires the use of equipment or assistive technology. Please refer to the NDIS access checklist to see if your child is eligible for the NDIS: https://www.ndis.gov.au/ndis-access-checklist. The NDIA can be contacted on 1800 800 110 to start the process and schedule a planning meeting. Step 1 – Think about your needs and goals. Prior to your planning meeting it can be helpful to think about your child’s needs and goals. Step 2 – Meet with your personal planner. It can be helpful to take your NDIS planning workbook with you to the planning meeting. You can choose to have family, carers and friends accompany you to the meeting and assist in the decision-making process. Your planner will assist you to develop a set of action steps to work towards achieving your goals. Step 5 – Review your plan. You will review your plan with the NIDA at agreed review dates (approximately every 12 months). If your circumstances change, you can request a review at any time. Please feel free to ask questions or give me your feedback.